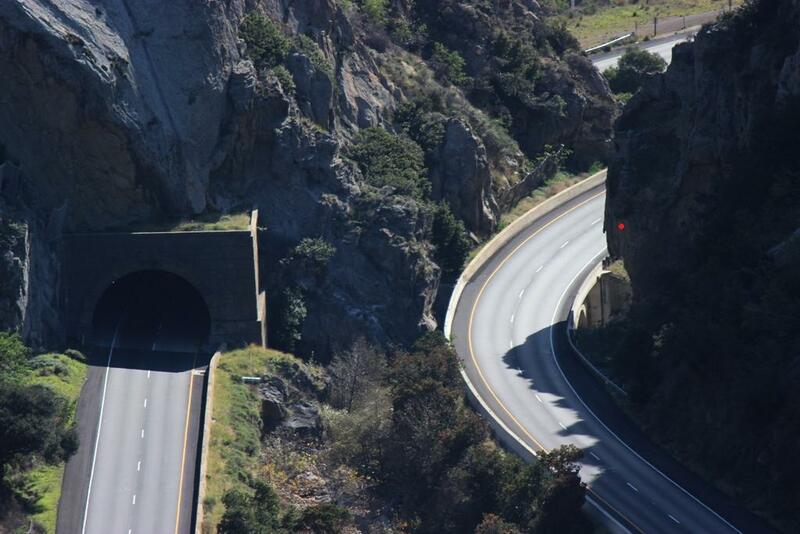 Looking southbound over Highway 101 and Gaviota Pass in 2011. The curving southbound lane on the right crosses over Gaviota Creek and through the breezeway between the bedrock in the same place as the old concrete road shown in the postcard photos. The rock formation noted by the red dot is or was called Indian Chin, the nub of the pointy nose can be seen silhouetted against the slow lane, the chin is sort of lost against the guard rail. Indian Chin can also been seen in the second postcard image just above and left of the automobile. 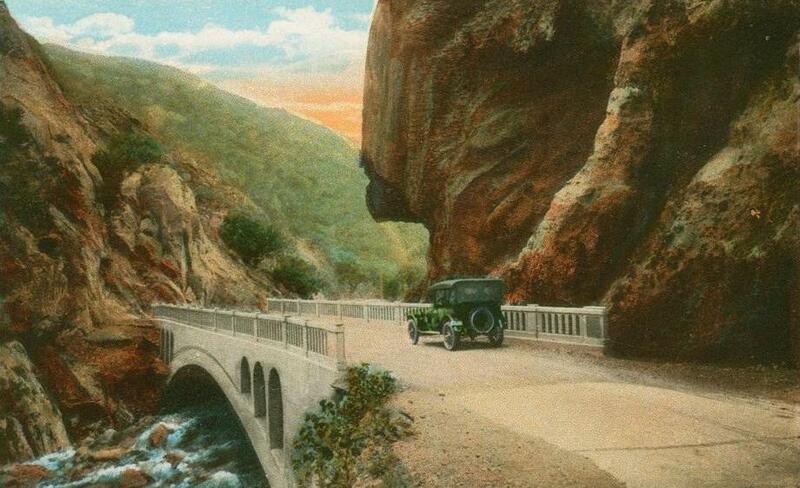 This entry was posted in Santa Barbara County and tagged 1930s, Automobiles, Cars, Gaviota Pass, Highway 101, History, Photos, Pics, Postcards, Vintage. Bookmark the permalink. Just past this point going north is where the CHP tends to hide out looking for speeders. At least that was my impression driving through in December. 2 within a couple of miles. Beautiful area though. Thanks for posting the old cards, it’s always interesting to see an area change over time.